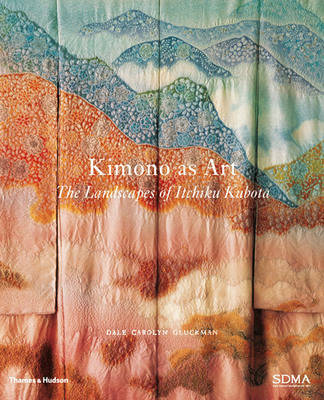 This lavishly illustrated book showcases fifty-five masterworks by Japanese kimono artist Itchiku Kubota (19172003). Kubotas unique method of decoration combines stitch-resist and ink drawing with complex colourlayering techniques to achieve hauntingly beautiful landscapes with richly textured surfaces and an impressionistic rendering of nature never before seen in the textile arts. Here his series of monumental kimono reveal an entirely new approach that elevates the work to installation art. This landmark publication is guaranteed to appeal to anyone interested in art, craft, textiles or the Far East.